Commissioned on August 15, 1927, HMS Nelson was destined to become a significant part of history. At the outbreak of World War II in September 1939, this worthy vessel served as flagship of the Home Fleet. In March 1941, Nelson supported the landing raid on the Lofoten Islands, Norway, against German factories producing fish oil and glycerin. That same year, Nelson transferred to the Mediterranean, taking part in one of the Malta Convoys. In November 1942, Nelson was active in the 'Operation Torch' landings in French North Africa. In July 1943, Nelson supported the Allied invasion of Sicily known as 'Operation Husky,' and the Salerno landing in September 1943. On September 29, 1943, General Dwight D. Eisenhower, on behalf of the Allies, and Marshal Badoglio of Italy, signed the Italian surrender agreement aboard HMS Nelson. In 1944, Nelson took part in the Normandy landings, subsequently transferring to the Indian Ocean to participate in the war on Japan in August and September of 1945. 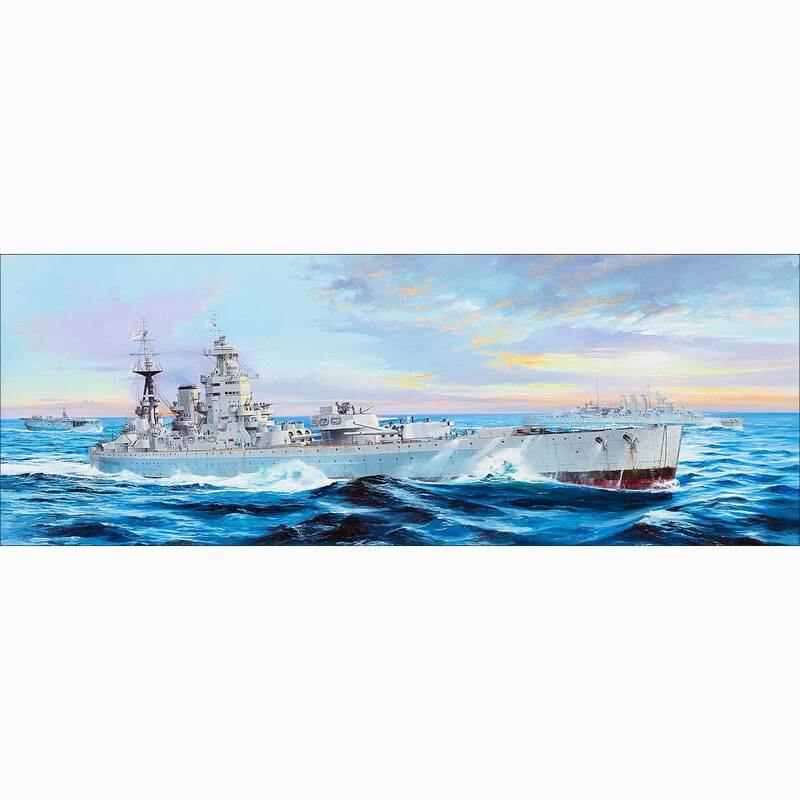 The Japanese surrender of Malaya was signed aboard Nelson on September 3, 1945. After the war ended, Nelson was retired from active service and used for training duties until 1947, becoming a bombing target before being sold for scrap in 1948. 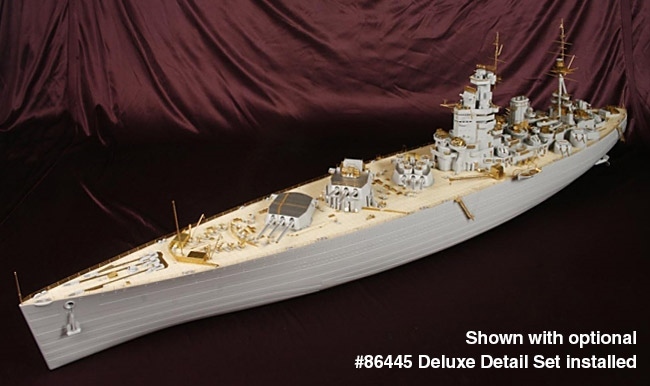 This finely detailed multi-media model kit includes over 1260 parts, with molded styrene 1-piece main hull, single-piece cast deck with engraved plank texture, individual deck fittings, full weapons array, ship's boats, ship's crane, detailed bridge, radar and antenna, display stand with name plate, anchor chain and many additional fine details. Also included are 8 sheets of exceptionally crafted photo-etched parts for the superstructure, handrails, ladders, stairs, gun tubs, bridge, gun directors, crane, railings and much more. 1/200 scale completed model is over 42 inches long, with a 6.3 inch beam. Includes 5-view color painting guide and decals for hull markings, jack and ensigns.